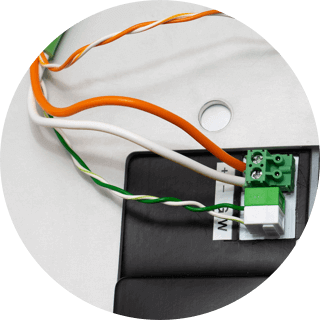 The all-in-one cable for Tree devices - whether that's motion sensors, switches or spots. With the new Tree Cable, we're continuing to improve the ease-of-install of a Real Smart Home. The standardized color-coding of the pairs greatly reduces the margin for error on an install. The new Tree Cable does it all – it’s suitable for handling all communication between Tree products as well as supplying power to the respective periphery devices. Peripheral devices such as Motion Sensors, Touch Pure switches, and Valve Actuators are connected to a branch on the Tree Extension via the twisted green/white pair. The power consumption of such peripheral products is very low. Therefore, the twisted pair of orange/white is ideally suited for supplying power. Peripheral devices such as Motion Sensors, Touch Pure switches and Valve Actuators are connected to a branch on the Tree Extension via the twisted green/white pair. The power consumption of such peripheral products is very low. Therefore, the twisted pair of orange/white is ideally suited when supplying power. Our LED Tree Spots and 24V Tree Dimmers require a power supply that can carry more power. 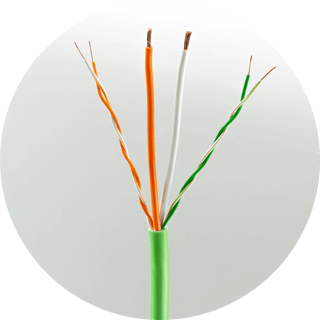 For these products, the Loxone Tree Cable is equipped with two 1.5mm2 orange/white cores in addition to the two twisted pairs. 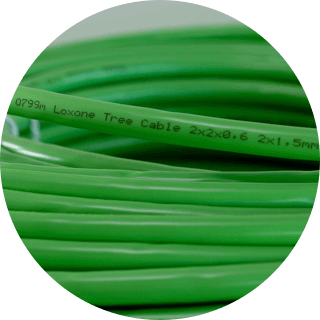 This cable, therefore, makes it perfect for both the supplying of power and transferring of data for all Loxone Tree devices. All Tree products always follow the same color-coding. The green/white terminals are for the Loxone Tree communication and the orange/white terminals are for the 24VDC power supply. The cores in the Tree Cable follow the same color-coding. This greatly reduces the margin for error on an install. This identifying characteristic makes it easier for both the initial installation and should you ever need to return to expand an installation. All Tree products follow the same colour-coding. The green/white terminals are for the Loxone Tree communication and the orange/white terminals are for the 24VDC power supply. Tree technology offers full flexibility when it comes to the choice of topology. The Tree Extension forms the “trunk” to which up to 100 tree products can be connected using this all-in-one Tree Cable. The nature of Tree means your installation can follow a free-form wiring topology. Our recommendation would be to pull a Tree Cable from the Tree Extension to the respective room and then star out to the individual tree components within that room. 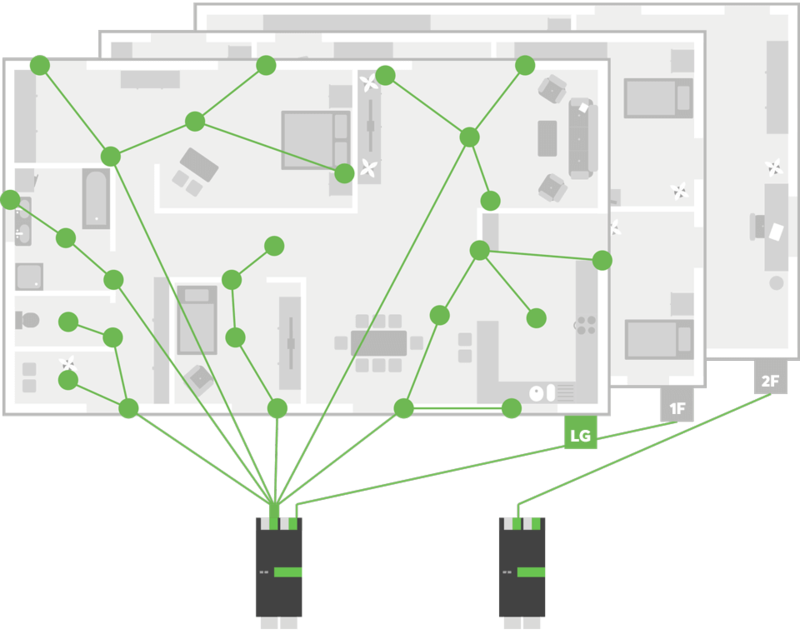 With the development of Loxone Tree we pursued a clear goal: to reduce the cabling and effort required for installing switches, sensors and the like in a Real Smart Home. The Tree Cable is the purpose-made link between Loxone Tree components and further emphasizes this simplicity. As a handy extra, an exact meter marking is printed on the cable for quick determining and calculation of cable lengths. To further improve the Tree Cable’s ease-of-install, the two 16 AWG (1.5mm2) thick cores are stranded for greater flexibility. This is a particularly great help when it comes to pulling the cable through your conduit. 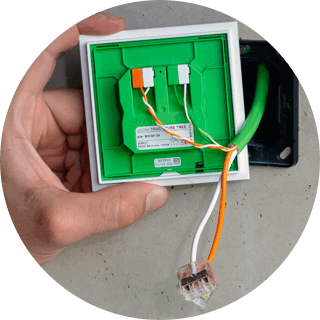 Our toolkit is ideally suited for a quick and efficient installation with the Tree Cable. Together with tool specialist Weidmüller, we have specially adapted the set to meet the needs of our Loxone Partners. 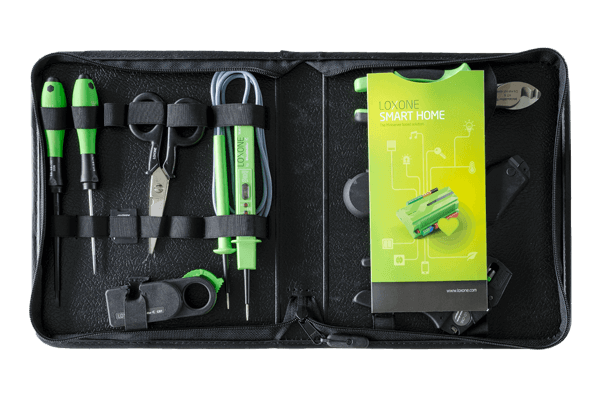 The professional tool set contains everything you need to perform a Real Smart Home installation.